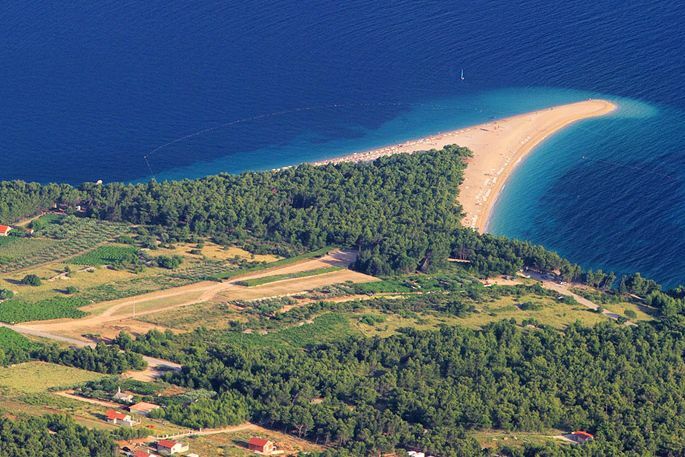 The paradise beach Zlatni rat is one of the most beautiful beaches on the Croatian coastline and at the same time the most representative panorama of Bol. 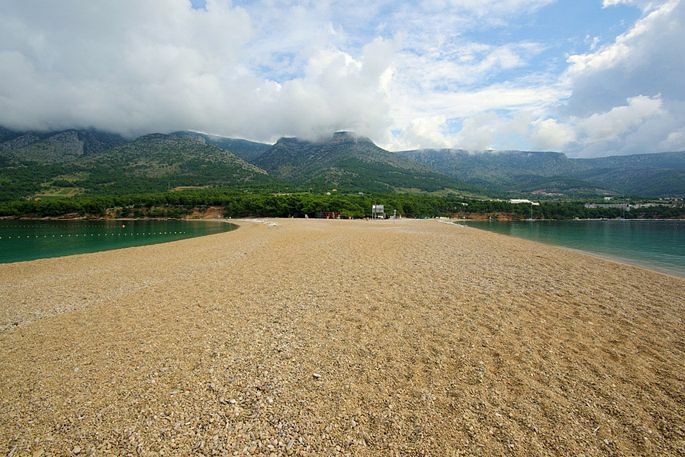 It was created by deposits of fine pebbles as sediment around the underwater reef, spreading as a small tongue as much as 500 metres into the sea. 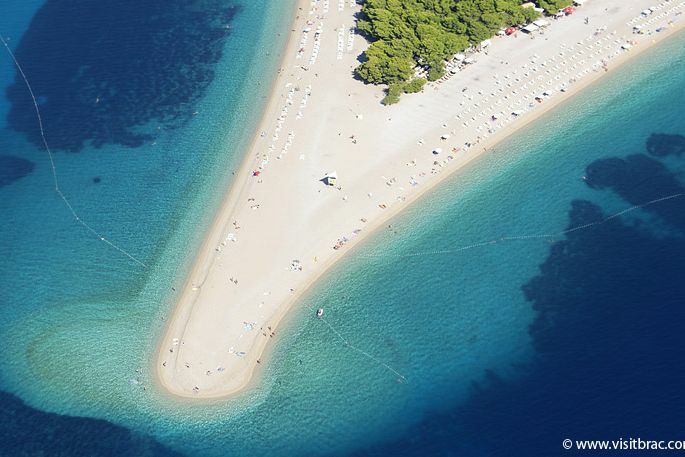 The very tip of Zlatni rat keeps changing its shape constantly due to the influence of winds, waves and sea currents, making it appear different and repeatedly interesting. 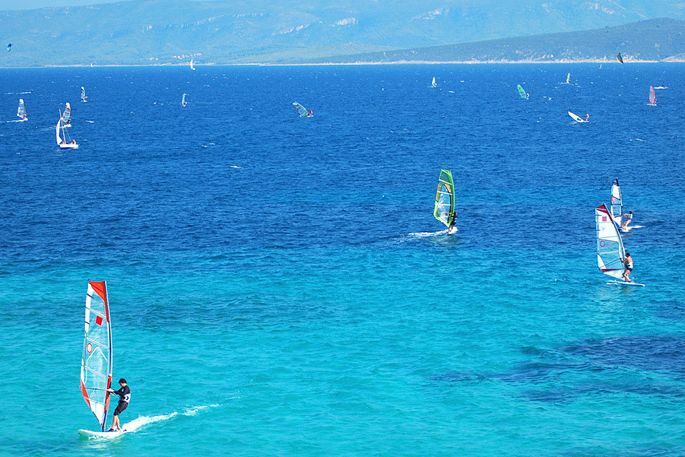 This location is a protected natural area and a favourite spot for surfers and kite-surfers from around the globe. 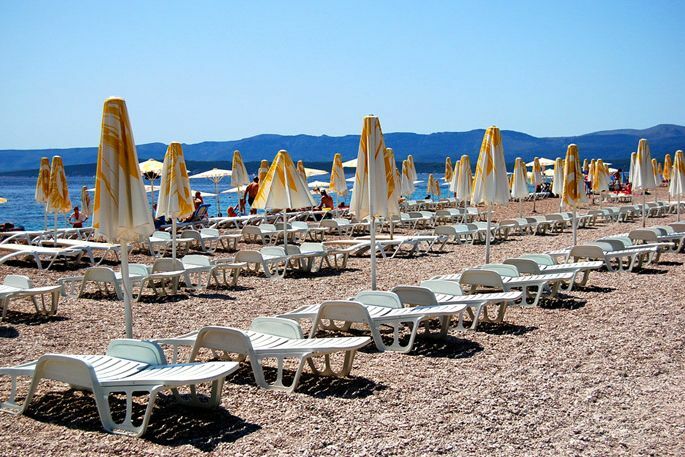 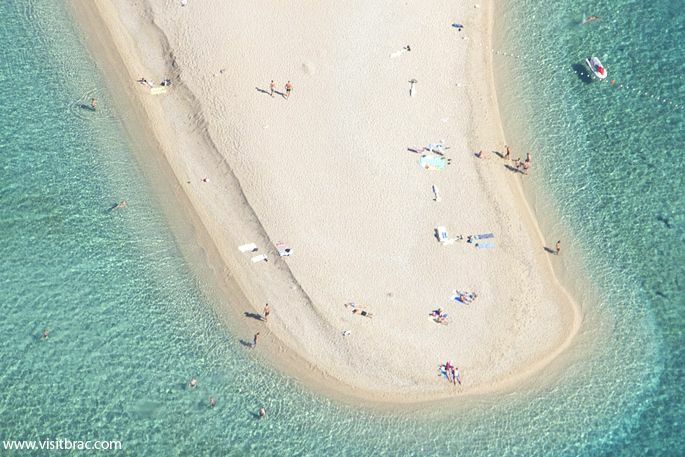 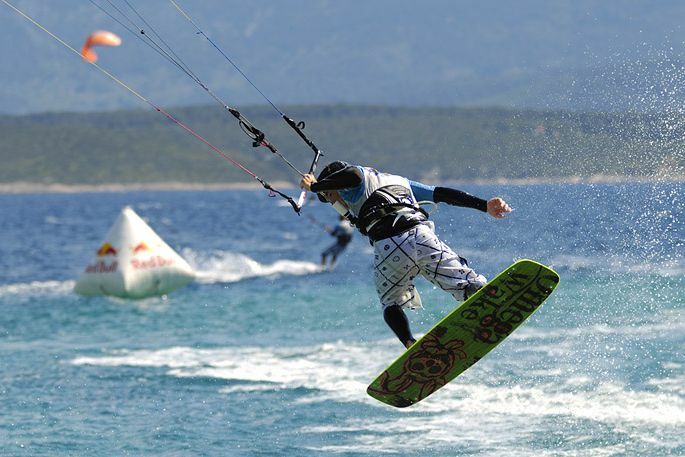 Zlatni rat beach is only 2 km from Bol. 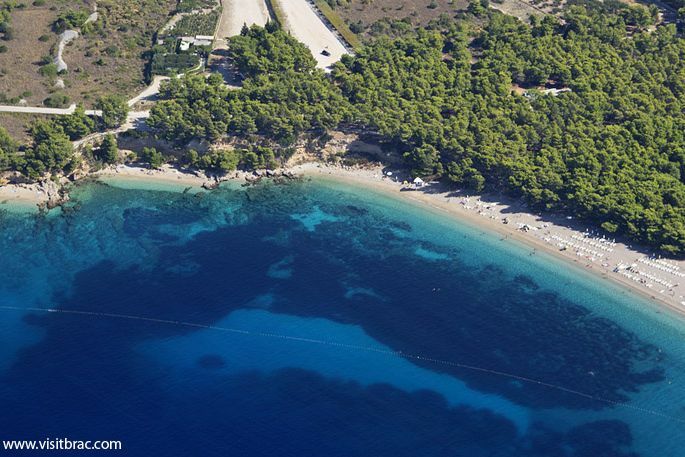 You can reach the beach either by car or by a 20-minute walk along the sea. 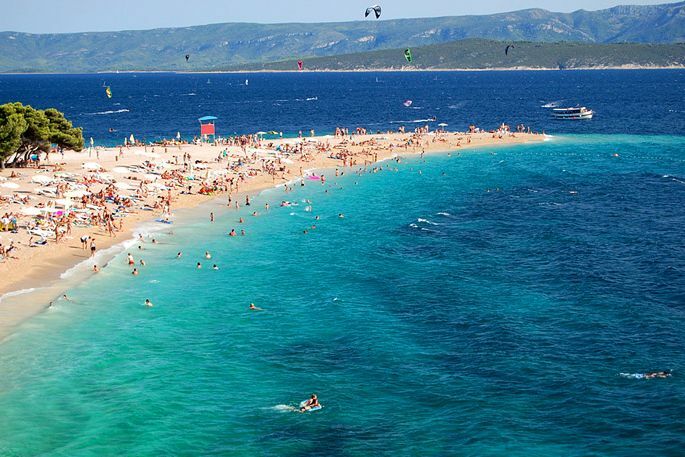 During the summer months, every half an hour there is a small tourist train going to the beach, as well as tourist boats that take off from the port of Bol.